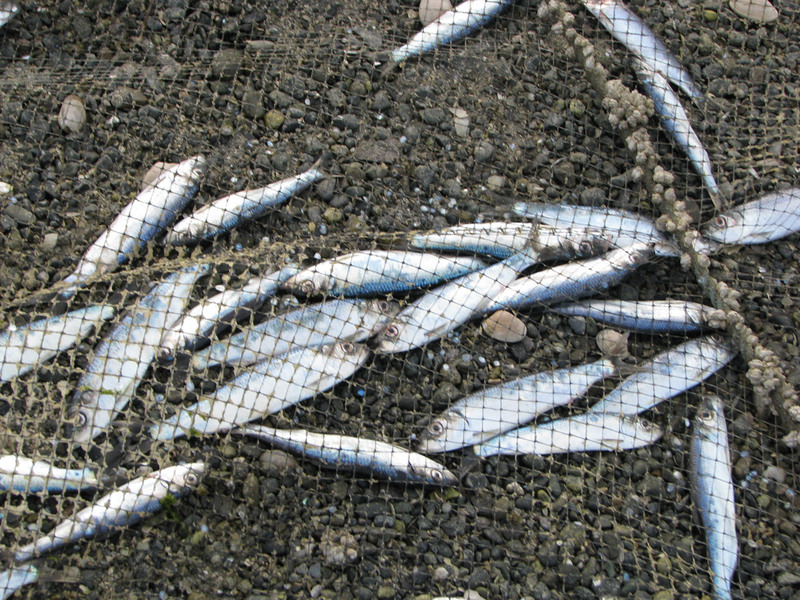 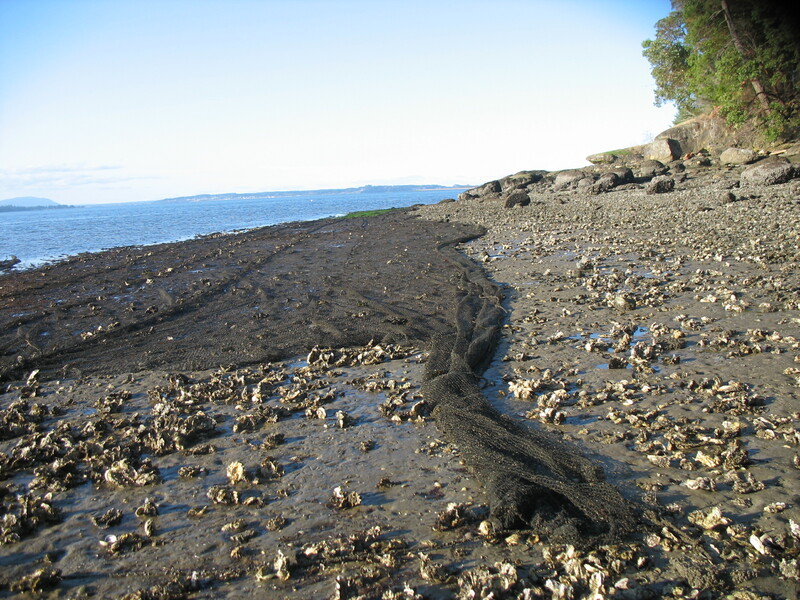 Anti-predator netting covers many hectares of beach in shellfish aquaculture tenures.Whether secured over the tenure, or not secured and left to drift,netting can entangle and kill birds, fish and other marine creatures. 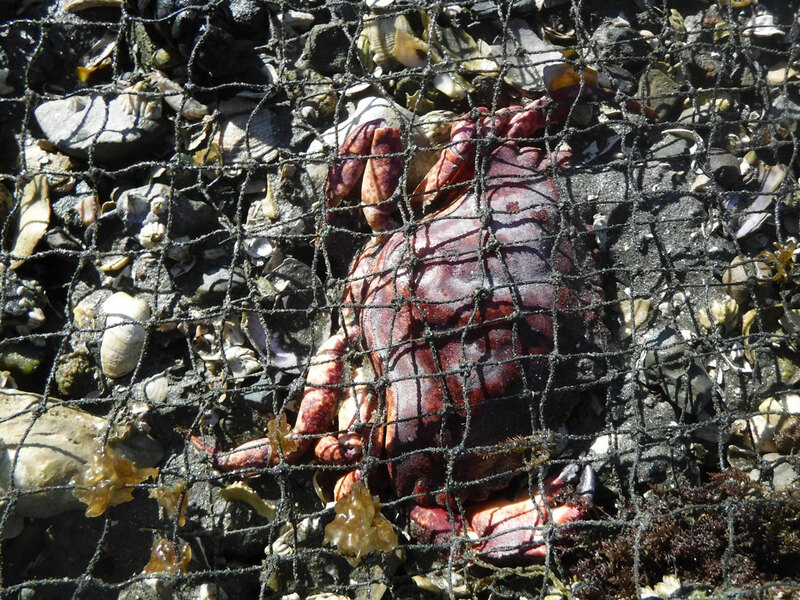 Anti-predator netting is made of plastic. 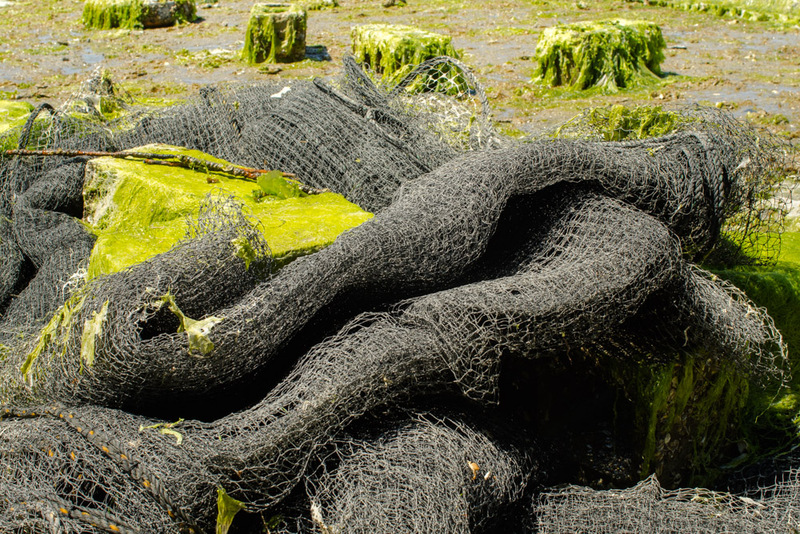 It deteriorates into microplastic particles and fibres. 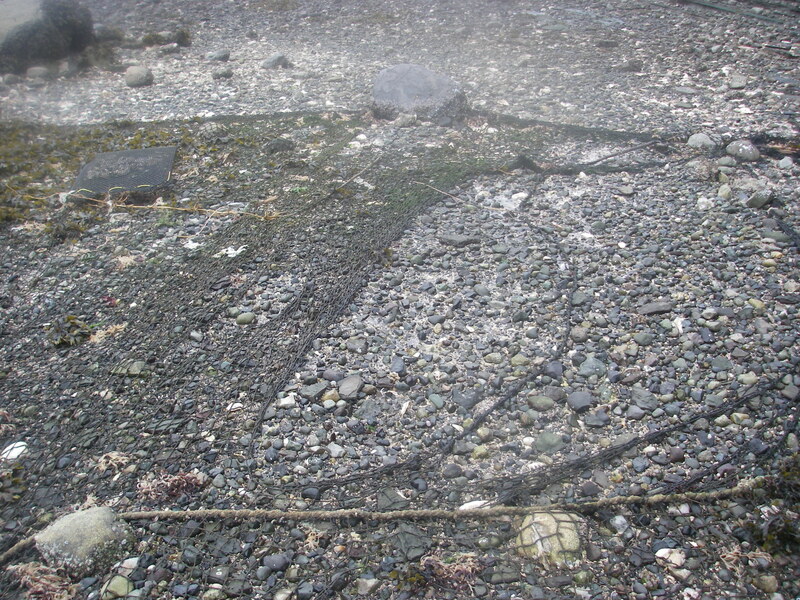 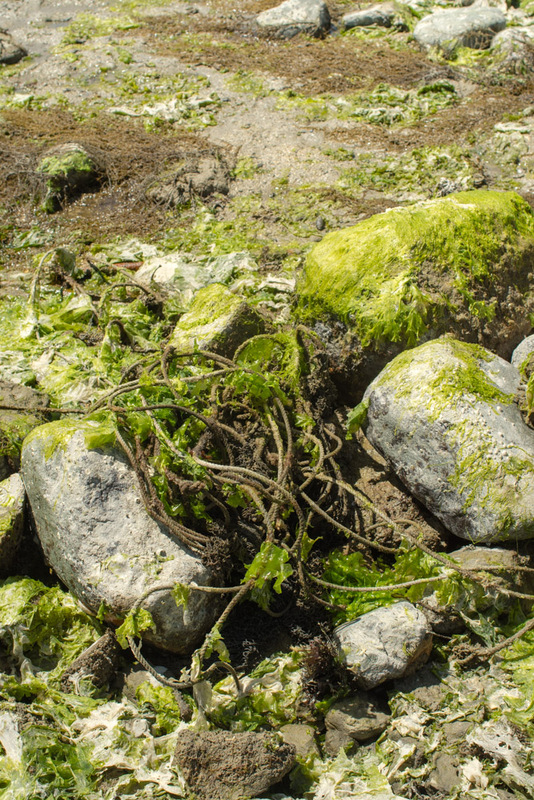 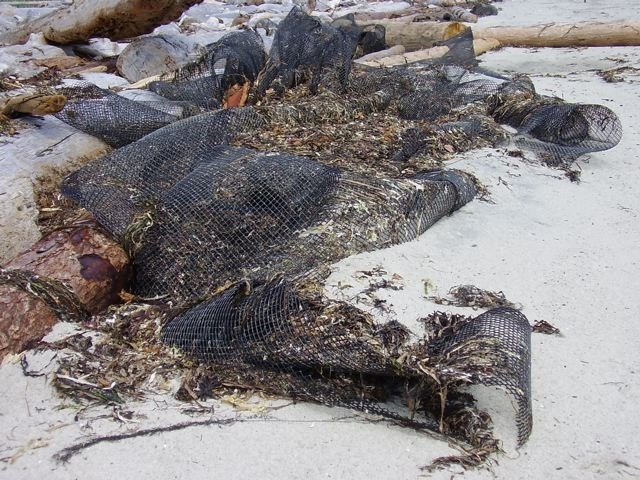 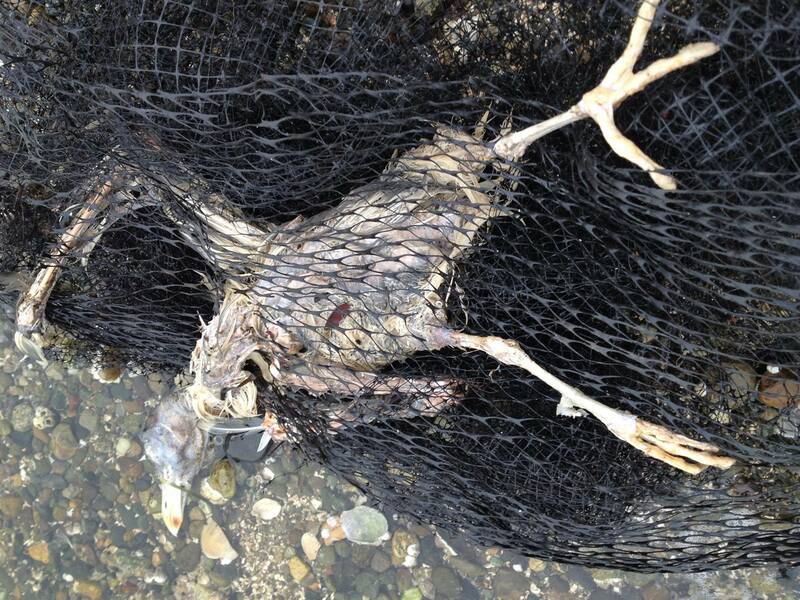 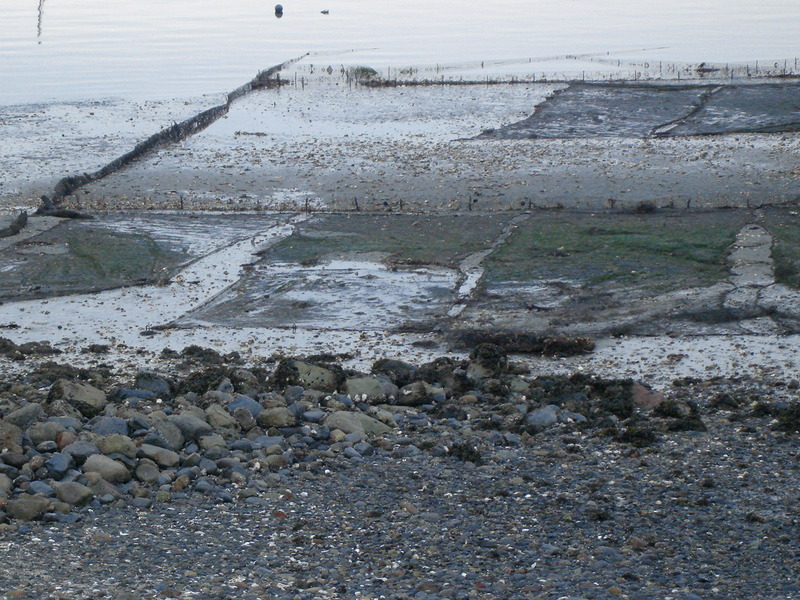 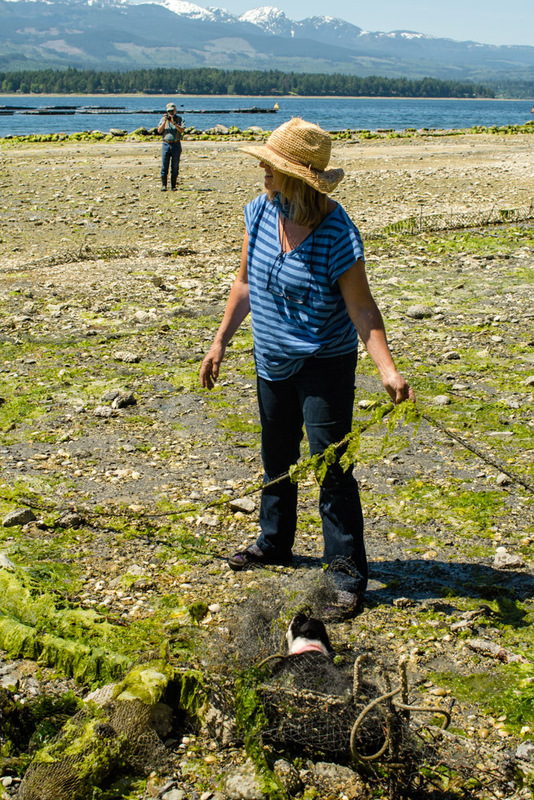 An estimated 300-400 hectares of the Baynes Sound shoreline are covered with netting.